This is the time of year that eager gardeners and reluctant homeowners alike break out the gloves, tools and painkillers. With the start of spring comes the often back breaking work of removing dead leaves and debris, pruning plants, fertilizing and preparing the garden beds. 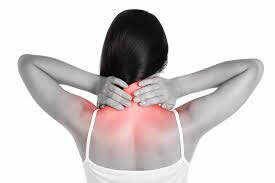 Often, it also brings backache, leg pain and a host of other injuries, but it doesn’t have to be that way. Gardening can be a wonderful way to enjoy the outdoors and get some exercise while beautifying your home, planting food or helping the planet. 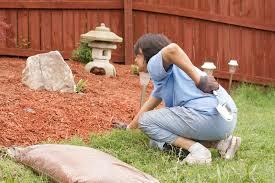 Taking a few tips to make it easier on you can mean the difference between enjoying your yard or being laid up in pain. Warm up your muscles before gardening. Do some basic stretches to prepare your body for the work you are about to begin. Don’t bend over to do the work if you can avoid it. Use a cushion and kneel, rather than bending, and if you must bend, bend from the knees rather than the waist. Shift positions frequently so you don’t overuse one set of muscles, and take frequent stretch breaks. The short time you add to the task by taking breaks is nothing compared to the amount of time you’ll be out of commission if you just try to power through it. Once your tasks are completed, stretch again, then walk a bit to get your muscles back into “normal” mode.” Don’t just drop into the nearest chair, because that will cause you to stiffen up. Drink plenty of water during and after your project. Dehydration will make stressed muscles even more likely to go into spasm. All these tips may seem to complicate things, but in reality, prevention is the best approach when it comes to avoiding the pain of overuse injuries. And of course, coming in for an adjustment soon after gardening will help align anything that may have shifted during your project.